Is warm weather on the way? According to this groundhog, yes! The dark clouds on this Groundhog Day card show that it is an overcast day and the groundhog will not see his shadow. As tradition states, this means that spring is coming soon! So pack away your heavy coats, mittens, and boots, because the sun will be shining warm and bright before you know it! On February 2nd, Americans will wait to hear if Punxsutawney Phil saw his shadow. Though silly, this fun observance is a great way to start the year. If the skies are overcast and cloudy, like they are in this Groundhog Day card, Phil won't see his shadow and spring will be coming soon! If he does see his shadow, however, we'll be facing six more weeks of winter - brr! 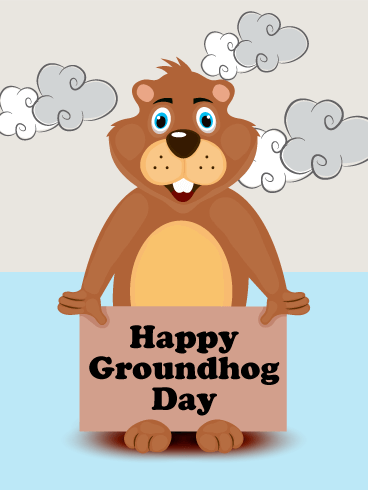 Send this Groundhog Day card to hope for spring soon! Are you tired of this cold, icy winter weather? Do you wish that spring was right around the corner? On Groundhog Day, you can see if your wish is coming true! Every February 2nd, a groundhog, like the one on this Groundhog Day card, checks for his shadow to see if spring is on its way. 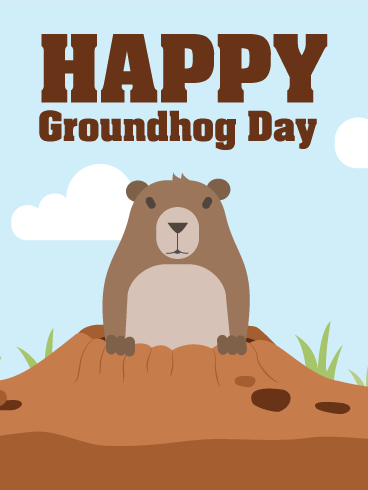 Celebrate this fun holiday with your loved ones by sending this Groundhog Day card today! Six more weeks of winter or the start of spring? By the start of February, many people are ready for warm weather and the end of the long winter season. To add some extra fun to this hope, Groundhog Day was created. 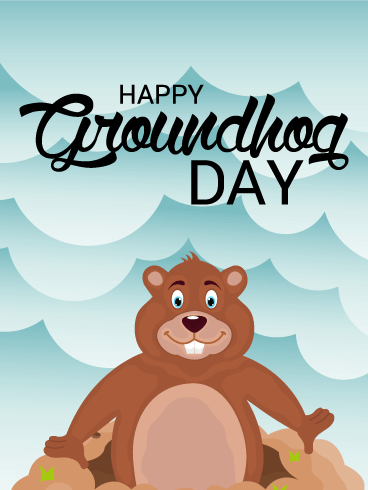 While Americans wait to see if Punxsutawney Phil will see his shadow, send this Groundhog Day card to include your friends and family in the fun! If you are tired of the cold, snow, and ice, tune in to see what happens on Groundhog Day. 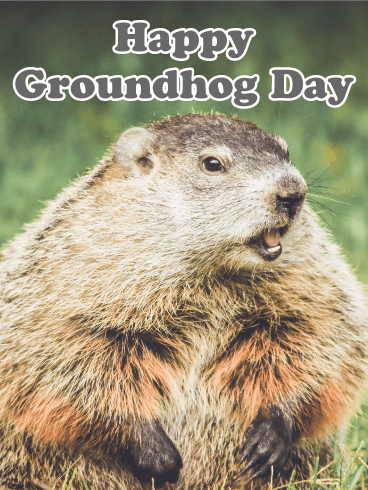 Though it's more for fun than for real predictions, Groundhog Day gives us hope that the cold days of winter will soon be over. 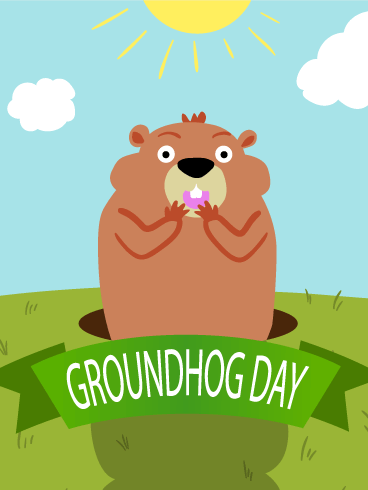 As you hope for the beginning of spring, send this Groundhog Day card to your loved ones to celebrate this fun holiday! Are you tired of the cold, ice, wind, and snow? Are you ready for the first day of spring? Then you’ll definitely want to know if the groundhog will see his shadow this year! On Thursday, February 2, Punxsutawney Phil will emerge from his home and look for his shadow. 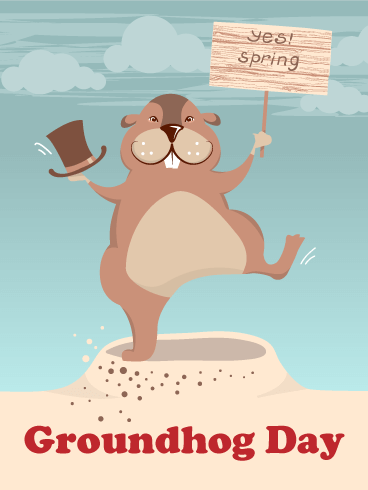 Celebrate this fun holiday and the hope of an early spring by sending this Groundhog Day card today! Once a year, we put our hopes of an early spring and the end of winter in one large groundhog. Punxsutawney Phil, our Groundhog Day celebrity, will look for his shadow on February 2. If he sees his shadow, we'll have six more weeks of winter. If he doesn't, look for better weather soon! 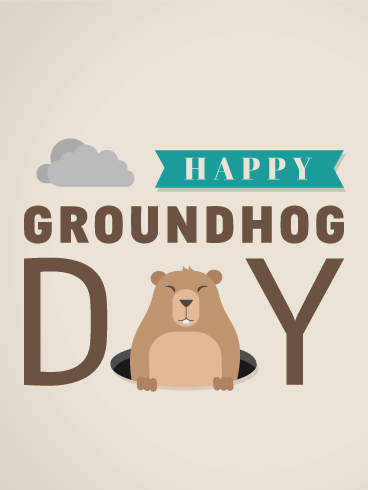 Share your hopes for warmer temperatures by sending this Groundhog Day card to your friends and family today! Do you prefer winter or spring weather? Would you rather have more weeks of snow and cold or sooner days of sunshine, warmth, and growth? On February 2, you'll find out which one you'll have this year! 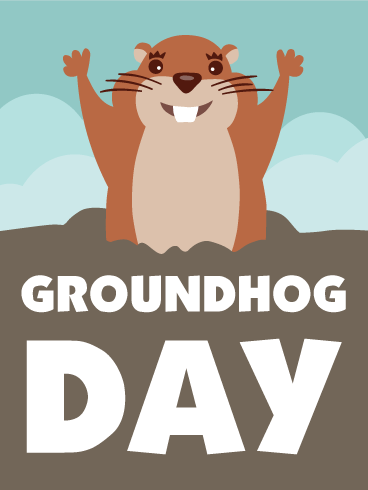 If you and your loved ones like the fun and excitement that comes with Groundhog Day, send them this fun card to celebrate! Uh oh! Punxsutawney Phil has seen his shadow and that means six more weeks of winter - brr! 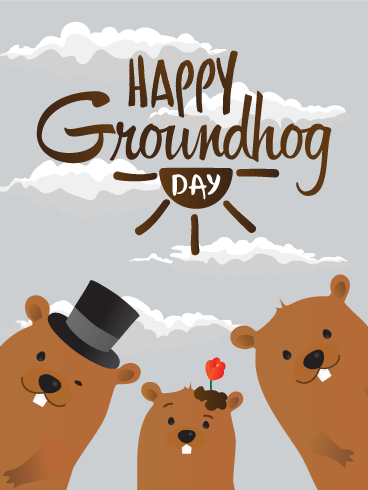 To fight the cold and snow, send this funny, sun-filled Groundhog Day card to your friends and family! The cute little groundhog, blue skies, and bright sun will warm your hearts with laughter and keep the cold away until spring arrives soon!